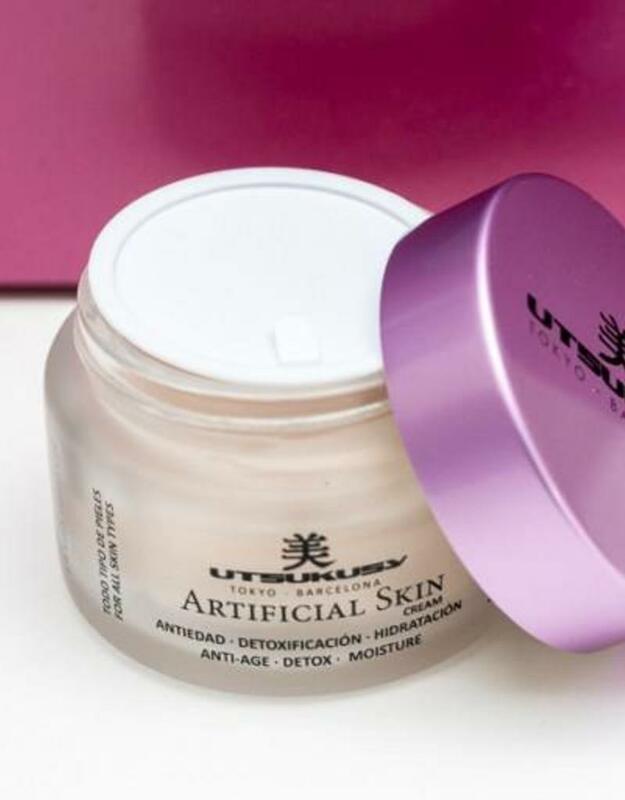 Artificial Skin Cream: A soft and nourishing cream based on glycerin, shea butter, mango butter, beeswax, edelweiss extract and macedamia oil. The skin significantly holds more moisture, allowing a dry and flaky skin to relieve breathing. 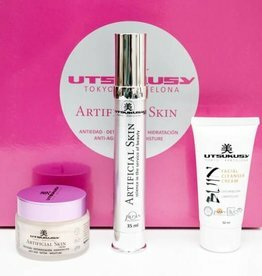 Dry lines disappear, the skin structure is rejuvenated and the skin is stimulated to create collagen and fibroblasts again. Wrinkles become less deep inside from and the skin becomes visibly firmer and elastic. 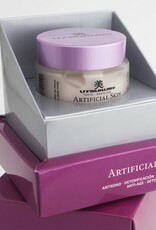 In a week it improves the firmness of the skin and reduces fine lines. 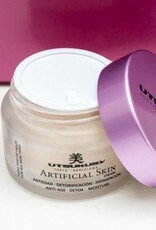 In just four weeks, the skin looks smoother and restores its firmness and elasticity. The face contour is firmer and well defined. 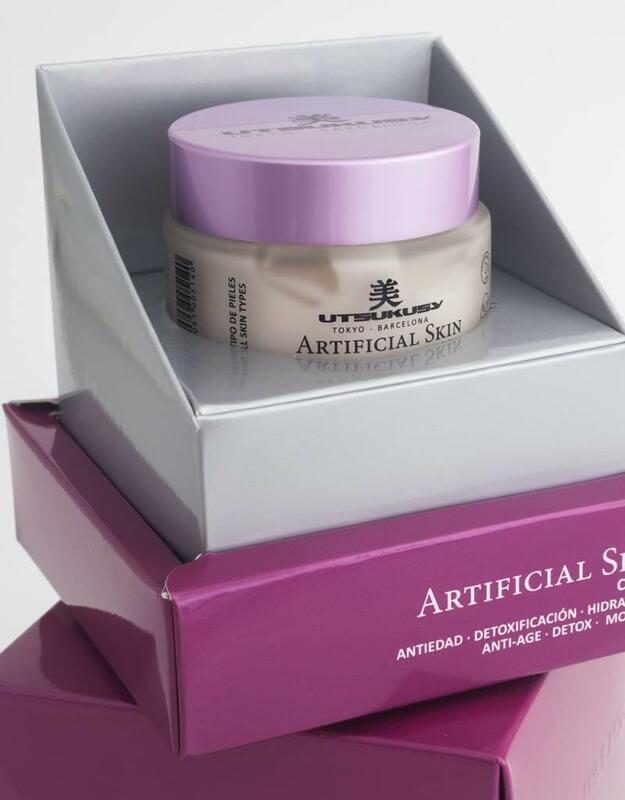 96% of the users tested showed a significant reduction in lines and wrinkles. In use, an increase in number and size of dermal papilla has been observed. This increases the contact surface between dermis and epidermis. 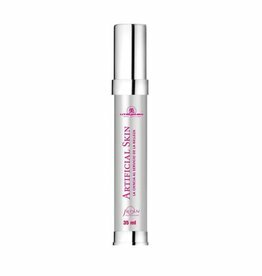 This promotes the supply of nutrients to the epidermis and promotes communication between the two skin layers. 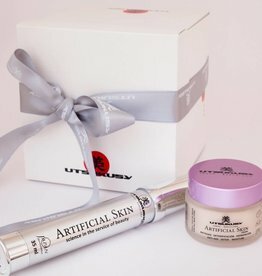 The result is a soft, smooth, firm and deep hydrated skin with visible less wrinkles. 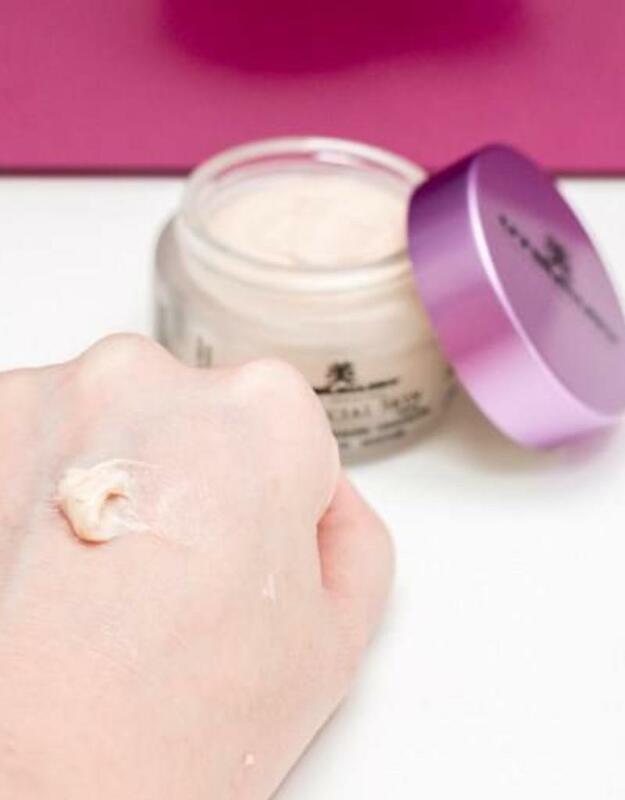 Suitable for dry skin, low moisture skin, mature skin.